We offer two Sunday School classes for youth: Middle School (in Room 11) and High School (in Youth Room). Both classes this year will focus on various faith topics while embodying what is talked about. They'll play games, read Scripture, talk to each other (amazing I know! ), and definitely pray together. 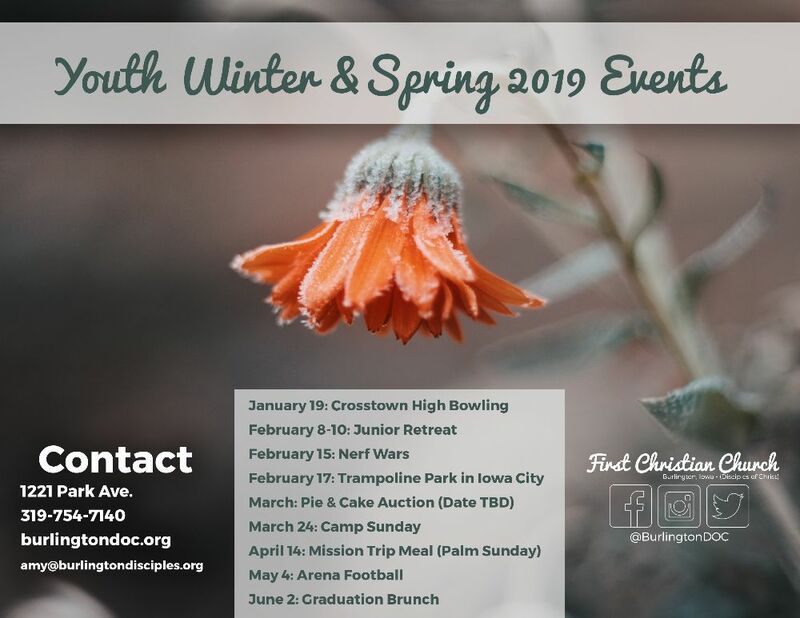 First Christian Church’s youth group, Crosstown, meets weekly for a time of fellowship, worship, and learning as we find out what it means to be and how to live as a Christian. Over the last 11 years Crosstown’s High School youth has traveled to different parts of the country each summer to help share God's love to his people through mission trips. Along the way to transforming homes, the faith of students is transformed and strengthened. 2019 Summer locations TBD. This year's Middle School Mission Trip heads to Memphis, TN We will partner with Memphis Youth Mission, an organization which helps youth learn about the struggles of those "living in the margins." We will participate in a Mission Immersion where we will participate in a variety of service, reflection using the arts, and build relationships. The highlight of the trip will be going to the National Civil Rights Museum to put the experience in historical context.